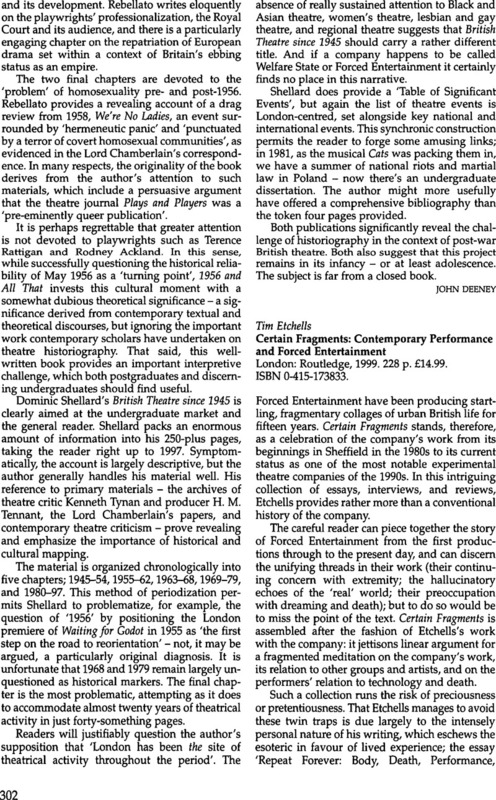 Tim Etchells Certain Fragments: Contemporary Performance and Forced EntertainmentLondon: Routledge, 1999. 228 p. £14.99. ISBN 0-415-173833.